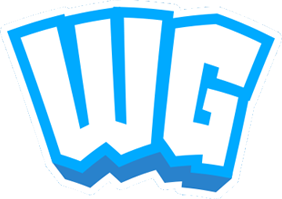 Wizmo Gaming is a survival server that was started in March, 2012. We have been a small but strong community for many years and all just enjoy playing the base version of minecraft with friends. Hi everyone! I've lost track how many times i've written a news-post like this, honestly. But, here we are again time for another re-opening announcement. The server will now be open for everyone to join, and has kept the old feel and almost all of the same features as the old server, along with that, everyone who played before the server went down will also receive Veteran status, and if you were staff in the past but don't want to have the responsibility of being staff again, you can get retired staff status, which comes with nearly equal benefits. Of course though, since it's just re-opening and I have no access to any old files i've been working with the staff team day and night to try and set up everything properly, but there will be some things missing or still not finished out of sheer lack of memory. I expect that everything will be perfect and running smoothly within the first two weeks of the server being back online though. Wizmo has never been a faction or towny server, it's always just been pretty much a basic SMP survival server, therefore we will not be using the Towny plugin for now. But you are very encouraged to create your own towns, and reap the benefits. Any town, activity, or anything thinkable that engages the playerbase will be funded directly by the Wizmo capital. This means if you create a town, you will be given a small amount of resources and currency depending on how many active members of your town you have. The actual amount behind this will be decided on when the capital has a council to vote on this, and you may also apply to be a member of the Wizmo Capital if you'd to be apart of this decision making process. The Wizmo Subway will be a group project that will connect any town to the capital if they wish to be connected. An automatic railway system will be used, but the building process of each connection will be done by hand. Members of the capital will assist in this process and the goal is to have a major subway system spanning across the large map. In the past, the server has sort of had a grey area when it comes to shops. In this itteration of the server there will be two shop NPCs in spawn that will buy basic resources from you. (Coal, Stone, Wood) and that's how money will be added into the economy. Everything else from there will be player traded, and in the future a shopping area will be created as the first project for the builder team. Currently we don't have any designated builders yet so make sure to apply!